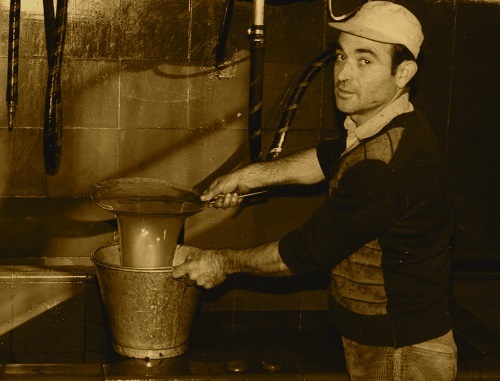 Olis Solé's history dates back to the early twentieth century, in which one of the grandfathers of the family, Mariano Llevat, set out to create its own olive oil, establishing the first oil mill of the Solé family. But the true origins come from a little further back, when in 1824 the family was in Llevat rent to the monks of the monastery of Mont-roig their presses to make oil. A few years later, specifically in 1944, other grandparents, Anselm Solé, opened a larger mill, so that families of the people might also use it. Through the years and the evolution of the industry and technologies, the owners updated all facilities to remain competitive in the current olive oil market. It was in 1987 when the current mill was inaugurated, using methods of spin and leaving aside the old mill stones. Ester Solé and Antonio March, the current owners are also responsible for the creation of the Museum de l'Oli Sole, set in the house of the grandfather Mariano Llevat. The museum exhibit the elements, tools and machinery that the family has been using for the last three generations. Thanks to the experience of years and years producing top quality olive oil, the Solé family has strong support in the market. 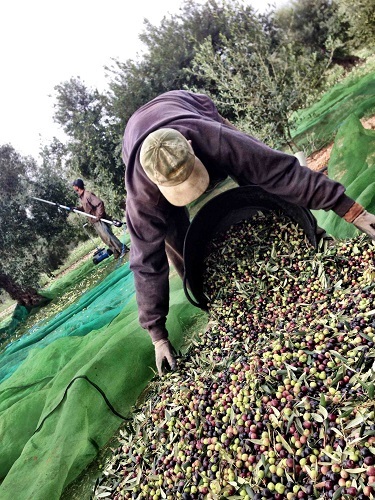 After the picking process and once the olives are settled in the mills, the elaboration process starts. The first step is the washing up of the olives in order to be classified. 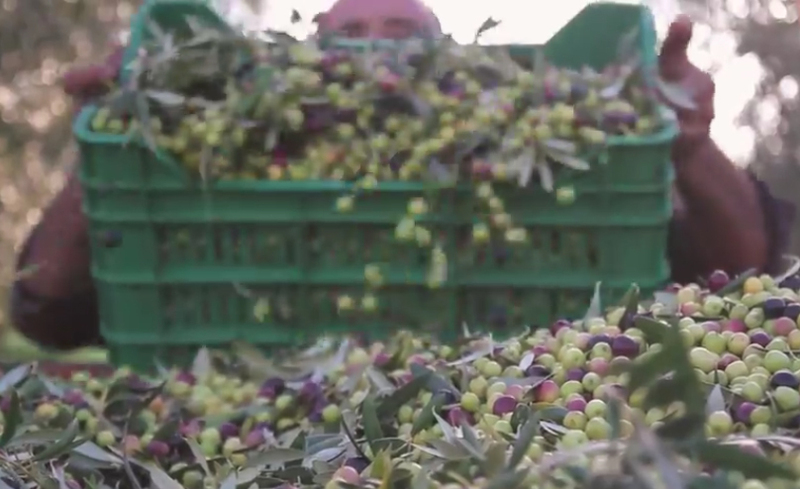 The fact of grinding the olives up to 24 hours after the picking process is essential for this top quality olive oil. Otherwise, olive oil may be oxidized during storage because of the fermentation of the olive. By separating the bone from the skin by the grinding process, the olive oil is released forming a smooth, thick paste. Without pause, the next step is to extract the olive oil and vegetable water by a cold pressing process, this process is known as decantation, and in this case is effected by centrifugal force. The next step is the cleaning of the resulting liquid achieved by adding some water. And with this and the olive oil deaeration by small decanters, the end of the process is reached. It is classified in containers and stored in stainless steel tanks. This is how Olis Solé reaches an Extra Virgin Olive Oil, a natural olive oil without any chemical processing or other substances that could alter the flavor, aroma and vitamins of the fruit. The container used partly determines the final quality of the olive oil. The most efficient packing are the dark packaging as they ensure blocking light and air for the olive oil. To maximize storage stability and maintain its properties intact, dark glass is one of the ideal packaging for olive oil. In order to preserve intact all its organoleptic qualities and to ensure the highest quality for the consumer, Olis Solé has a bag in box format 2 liters. Thanks to the metallic bag and hermetic tap, direct contact with light and oxygen penetration inside the packaging is avoided, ensuring its preservation as long as the product is packaged. It was in 1979 when the administration acknowledged the DOP Siurana, even if in '77 the Regulatory Council was established. Production areas of the DOP Siurana extends through the regions of Alt Camp, Baix Camp, Priorat and Ribera d'Ebre and Tarragona. Weather conditions that comprise this area are exceptional for olives cultivation and the consequent development of an Extra Virgin Olive Oil of high quality. 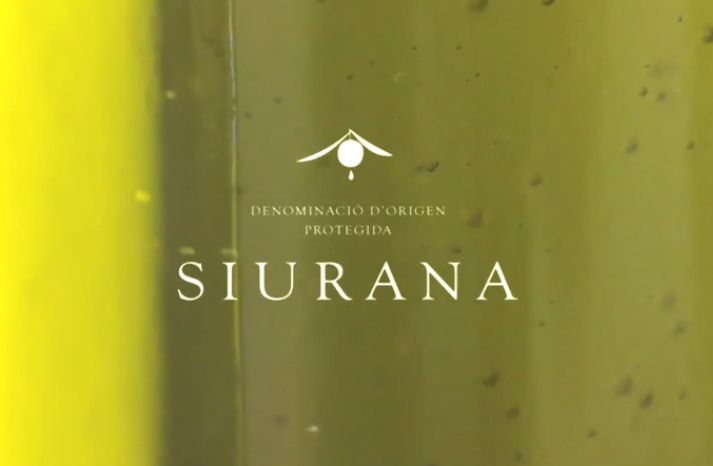 These DOP Siurana oils are made with 90% of the Arbequina. The features that support it are those of finesse, fruity aroma and excellent fluidity, becoming internationally recognized. This variety comes from a town called Lleida Arbeca, hence its name. With about 50,000 cultivated hectares at present, this type of olive extends to the provinces of Lleida and Tarragona. The producer of this fruit of the olive tree is a cold-resistant tree, with not much undergrowth in its branches and a strong greenish gray in its timber. It has more than three meters high and is very versatile to poor soils. It has a leaf color from green to yellowish green ocher gray. Its fruit is oval and weigh up to 0.4 g, and oil yield from 20%. The resulting olive oil has a light yellow color and greenish, very similar to that produced in other countries bordering the Mediterranean. It has a very sweet and fresh nutty flavor that adds a nice bitter and spicy touch in their passage through the mouth, with hints of apple and wild smell of fruit, a soft fruity aroma and unique. These properties are conferred by the quantity and richness of the varieties grown in the area where the Arbequina grows. The time of harvesting of this variety is focused on the months of November and December, when the olives are at their peak in terms of maturity are concerned, in the case of the more delicate task of olive cultivation. The priority is not to damage the fruit and to take it to the mill in the shorter time, getting the least possible deterioration of the olives. - 2 tenderloin with Arbequina oil. Chop three cloves of garlic. Put a little oil Arbequina Olis Solés Mas Tarrés in a pot or pan and add the chopped garlic and with low temperature, heat it without getting the garlics toasted, about 15 minutes. Cut the tenderloins with about 2 cm. thick. Season and put to fry in a pan with a little oil. Cut the tenderloins with about 2 cm. thick. 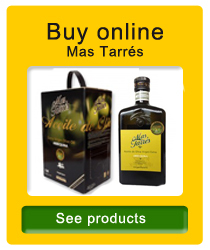 Season and put to fry in a pan with a little oliv oil Olis Solés Mas Tarrés Arbequina. Remove the fillet and put over a few tablespoons of the infusion of Arbequina oil and garlic we had heating. Serve with sautéed vegetables. Not only we talk about food when we use the Extra Virgin Olive Oil. There is a new trend in which culinary experts begin to extend the use of oil in a variety of dishes and drinks. Yes, also in drinks, because it provides an added texture and flavor. Enter the ice at the top of the ball cup and move in circles to get the cup cold. We can also get wet the cup and put it in the refrigerator or freezer. When the cup is cold, remove the ice. On a plate put some Extra Virgin Olive Oil Arbequina, in another plate, add sugar. Spatter the edge of the cup with oil and after with sugar. Put ice, a splash of gin and tonic, accompanied by rose petals and a slice of apple granny. To prevent bubbles break the trend, place a Scoop in the center and let the liquid fall on it.